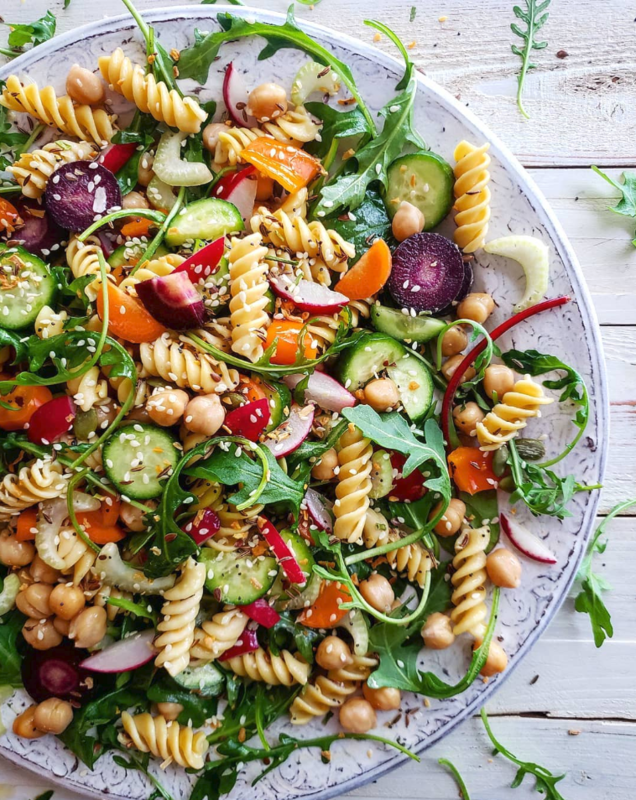 Chickpea rotini & arugula salad tossed with crunchy carrots, celery, cucumbers, radishes & chickpeas in a simple lemon olive oil vinaigrette. A salad a day! Put all the ingredients into a cruet and shake well before using. Combine all of the ingredients in a large bowl. Add the vinaigrette and toss gently. Sprinkle with the remaining 1 teaspoon of white sesame seeds.